How to buy Fifa World Cup 2018 Russia Tickets now! Buy Fifa World Cup 2018 tickets from the official Fifa.com website now and you won’t miss an experience of a lifetime: watching the tournament in the largest country in the World. The 2018 Fifa World Cup will take place in Russia from 14th June until 15th July. Tickets are currently in their second, ‘random selection’, phase of sales which ends on 31st January 2018. During this phase, you can apply for tickets for the event without the timing of your application affecting the chance that you will get a ticket. Everyone applying between 5th December 2017 and 31st January 2018 has an equal chance of getting a ticket. Apply now and you can still qualify for one of these tickets. From 13 March 2018 until 3rd April 2018 tickets will be sold on a First-Come, First-Served basis. Last Minute Sales will begin on 18th April 2018 and continue until the World Cup Final on 15th July 2018. What kind of tickets can I buy for the World Cup 2018? You can apply for Individual Match Tickets and Venue Specific Tickets (VST) for the 2018 Fifa World Cup Russia. Team specific tickets were available during the first phase of sales but are no longer available. Individual Match Tickets are for specific matches and are available to buy right until the end of the tournament on 15th July. How do I apply for World Cup Tickets for Russia 2018? Fifa.com is the sole distributor of ticket for the Fifa World Cup 2018. Before making a purchase, you must register for Fifa.com ticketing account. You can do that via this link. Registration is free and, once registered, you can apply for a World Cup ticket by entering your details, including your passport and your payment information. Following this, you can either apply for or select a ticket depending on whether we are in a random selection phase or first-come, first-served phase of ticket sales (see release dates above). If your ticket application is successful, congratulations you can celebrate! But once you receive you ticket confirmation, you must then apply for a FanID. This is an official identity document that all football fans visiting the 2018 World Cup must have in order to attend the tournament. Your FanID is effectively your visa, enabling entry into Russia as well as free public transport on match days. You can apply for you FanID via our link to the official FanID website. If you have any queries regarding your World Cup 2018 Russia FanID, call the official contact number for fans calling from outside Russia on +7 (495) 741-18-18. This is an International telephone number. These are generally expensive and vary according to the phone provider. Contact your individual phone provider before making a call to this number to avoid any unexpectedly high call charges. If you are calling from inside Russia, you can call the 24hour helpline for FanID questions on 8 (800) 775-20-18. UK mobile phone users should be aware that charges for making calls on their mobile phones outside of the EU can be very expensive due to a process known as ‘Roaming’. Ofcom provide useful information on this subject on their website. They suggest considering buying a SIM for the country you are travelling to in these circumstances. The following ticket prices have been converted from US dollars to British pounds based on an exchange rate in early 2017 and may therefore vary. The categories reflect the type of seat offered and are unique to each of the 12 stadiums taking part. Russian residents are being offered discounted rates for their tickets. The only way to buy Fifa World Cup 2018 tickets is through the process of registration and application outlined and linked to in this article. 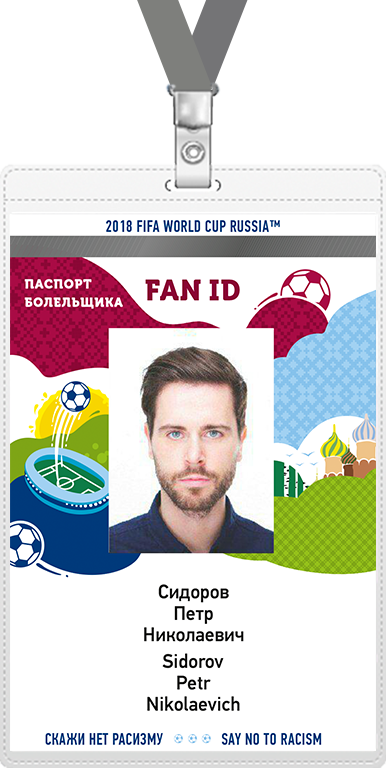 You must then obtain a FanID to be able to travel to Russia for the tournament. Tickets will not be available for re-sale and can only be transferred with written consent from Fifa. If you are offered tickets by an alternative means and buy them then you risk losing that money and supporting illegal operators. Sign up for a Fifa ticketing account and buy your World Cup tickets with confidence. If you have entered the Random Selection Draw then we at FindAPhoneNumber wish you the best of luck and the best tickets! We hope you find this article useful. Does this page need an update? If you would like to feedback information to us, please contact us via our email: admin@findaphonenumber.org.uk.